This weekend has been an emotional one for me. Nothing traumatic or unusual happened, but the reality that my life is once again completely changing in two weeks really hit me. I’ve been vacillating between excitement and deep sadness, joy and fear, looking ahead and look back. Sometimes the feeling of loss and what ifs have been more than medicine can conquer. I woke up this morning with the slight temptation to skip church, but I knew that I would get something out of it. I’m so glad I went with my first mind. Not only was I reminded of some important timely truths, I also realized the true lessons of these past five years:transition, fear, and surrender. Pastor Paul used the story of The Wizard of Oz as an allegory about life and finding truth. 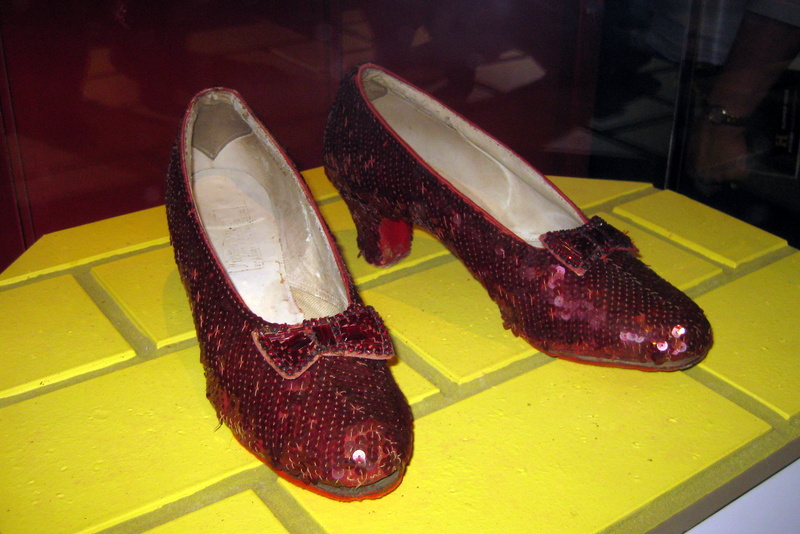 He compared Dorothy’s initial carelessness, her journey, and her final revelation of how to get home to the steps that we all go through when we lose our way. We ignore the signs and whispers, and continue doing things that aren’t good for us. We fail to pay attention to the love that is already in and around us. We go down a path of “if onlies” thinking that there is an external source of happiness, peace, and love. If only we had enough money, if only we had the right partner, if only our mothers only, if we just got that job, if only our exes treated us differently. We finally learn to go to the place where we’re guided and affirmed. We surrender and learn that truth, happiness, peace, and joy were always within. What is my role in this situation? What am I ignoring? Where do I see love? Who am I surrounding myself with? Are they affirming the God in me? Where am I affirmed and guided and loved? Am I trying to control the “how” or am I surrendering to God’s guidance? This sermon sparked all sorts of “ahas”. After I finished journaling about how it connected to my life, I started writing about what’s been revealed to me about surrendering. The knowings just poured out of me, and I’ll be sharing those ideas over the next few posts. Stay tuned for what’s up next: What does it mean to surrender?